Nissan’s auditor had repeatedly questioned transactions at the heart of allegations of financial misconduct by former chief Carlos Ghosn but Nissan replied by stating that they were proper, a source with direct knowledge of the matter told Reuters on condition of anonymity. According to the report, in 2013, Ernst & Young ShinNihon LLC questioned Nissan’s management several times about purchases of overseas luxury homes for Ghosn’s personal use and of stock-appreciation rights that were conferred on him. But the Japanese automaker said the transactions and financial reporting were appropriate. This casts a shadow of doubt over Nissan’s claim that both Ghosn and Greg Kelly, a former representative director who was arrested along with Ghosn on the same allegations, were the masterminds behind this alleged scandal. Both the spokespersons from EY ShinNihon, the Japanese affiliate of global accounting firm Ernst & Young and Nissan declined to comment on these specific cases. Ghosn was arrested on November 19th as he arrived in Japan. Prosecutors accuse him of falsifying Nissan’s annual reports to understate by about half his total compensation of some $90 million over several years. 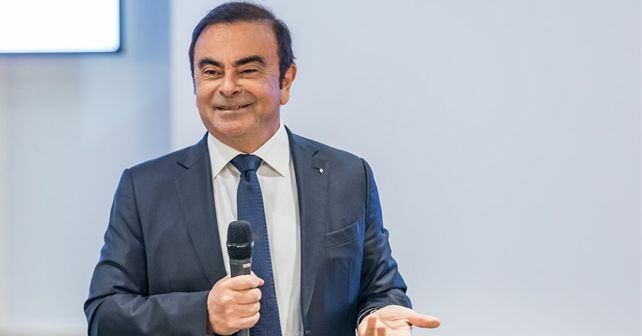 Ghosn has denied the allegations, according to Japanese media. Nissan and Mitsubishi Motors have removed Ghosn as chairman in the wake of his arrest. The French member of the three-firm alliance, Renault, continue to retain him as chairman and CEO.